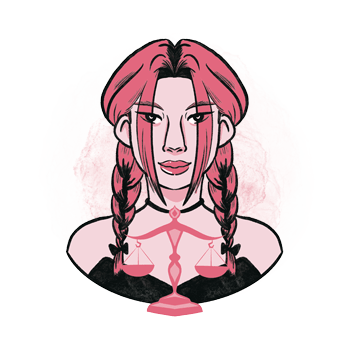 October 8th is a date that brings a sense of danger to the Sun set in Libra, and while it might be quite energetic and powerful, it always provokes depth that is required for self-preservation, regeneration, and an approach to life that is fruitful. Tasks of Mars and the Sun may be demanding for those born at this time, and they shouldn’t settle for less than what they imagine and dream of, or they might get stuck in constant lack of energy and fatigue. These entities in a planetary row for people born on the 8th of October all speak of earthly energies that are to be conquered and dealt with in order for the foundation for growth to be set. Libras born on this date may be wonderful and highly intelligent philosophers and orators, but this won’t help them create and manifest treasures held in their mind if they aren’t in the purest possible touch with their physiology, their body's needs, and the reality they live in. Their task is to find what is, accept it without a dilemma, and work from the point of absolute and stone-cold truth. Only when they are in touch with the structured and obvious material world will they be able to make it work for them and show the needed initiative to change circumstances that burden them. This symbol adds a touch of Saturn and its equation into lives of those born on this date. It speaks of cycles that begin and need to end, and the investment of energy that is to be rounded up before the next step can be taken. Many obstacles could be found in their way if they don’t follow their ambitions and move through life with a clear vision of their goal and all steps needed to reach it. Their focus is a matter of personal growth, and while they might be lucky in many areas of life, their career path and ambition will speak of their actual ability to interact with the real world and make their lives as beautiful and harmonious as they wish them to be. The purpose in lives of individuals born on October 8th is found in the symbolism of Neptune, the planet of pure faith and mission. It is a strong signal that the feel of the atmosphere in their life needs to be in tune with the ideal they strive for, and true achievements come when they believe in their senses and start following their dreams and talents they were born with. No other person is to decide on their faith and what they are truly good at, and setting apart on their personal path, leaving opinions of others aside, they will discover how creative and inspirational they can be to themselves and to all those around them. 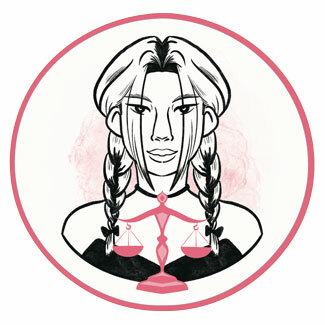 Libras born on the 8th of October are quite instinctive and sexuality comes to focus in their love life over time. Their physical relationships need to get in touch with the ideal of emotion they carry within, and this may sometimes seem separate, as if rational choices don’t include such passionate and physical approaches to love. As they cleanse their world of toxic beliefs of their surroundings, they will find that they believe in closeness that overcomes general relationship "rules", layouts, and convictions, and they are to build relationships that are different and special, each different from the other and not easy to understand for other people in their life. Their emotions go deep and need to find a sense of justice before reaching out to form solid relationships. This can be challenging at first, but proves of great use as time goes by, and when they get their inner emotional puzzle in order, they form lasting marriages and relationships that have a clear foundation to rely on. Until then, their love life might be colored with deception and a tear up between rationality and sexual desire, possibly leading to parallel bonds or emotional struggles meant to point out their true direction. Libras born on October 8th do extremely well in sports, military, archery and martial arts, when they are well-grounded and protect themselves every step of the way. They may become tactful leaders and those who have a lot to say to a large crowd, but it is important that they understand the starting position first, so they can move towards higher creation and truly inspire those around them, instead of losing their authority and their strength in emotional contacts with others. Witches Finger Quartz, also called the "Magdalena Stone" can be an excellent choice for those born on October 8th. While supporting tact and diplomatic speech, it is also a crystal that helps release of fear. Not so pretty on the outside, this is a stone to remind one of everyone's authenticity, and the imperfections of nature that give us a place to connect and relate to all people through a healthy image of Self. These crystals are known to have the energy to support manifestation of one's desires, and work well with the energy within when one seems to constantly manifest the opposite of what they wish for. Understanding the equation and the relation between action and consequence, it will aid their growth and ability to create with focus and clarity. A birthday gift for someone born on the 8th of October may be a piece of sporting equipment, sneakers or a new bicycle, but it would be wiser to get in touch with some real romance and organize fireworks or a beautiful surprise. Float on the river in the city, walk by the shore, and do what it takes to sweep them off their feet. They rarely get presents and attention they deserve due to their reserved attitude and modesty covered in strict attitudes meant to protect them, and need someone to break the rules for them, take them out and show them the world they wish to create. Strongly opinionated and intelligent, they seek balance in impossible circumstances and have the ability to find middle ground between extremes. They are energetic and in search for real stability that purifies and heals. Lethargic and weak in their energetic core, they get preoccupied with mental spheres, forgetting about their body and the real world along the way. This could distance them from productivity, materialization, initiative and what they need to be fulfilled and satisfied. In 1943 Chevy Chase (Cornelius Crane Chase) was born, an American actor, comedian and writer, known for his roles in Spies Like Us, Three Amigos and Orange County. A member of high society, he stated in his biography after the death of his parents, that he was abused physically and psychologically by his mother and stepfather. In 1949 Sigourney Weaver was born, an American actress who rose to fame with her roles in Alien movies. Due to her contributions to science-fiction film history she got a nickname "the Sci-Fi Queen". Her friend admitted on stage, that she never saw the entire movie Alien because she was too scared. In 1970 Matt Damon was born, an American actor, screenwriter and producer, recognized for his roles in Saving Private Ryan, Talented Mr. Ripley, The Martian and many others. He openly spoke about his loneliness and the feeling he didn’t belong when he was a teenager and said that he had a hard time defining a self-identity. 1645 – The first lay hospital is opened in North America. 1856 – Beginning of the Second Opium War. 1956 – The only no-hitter and perfect game in a World Series is pitched by Don Larsen (born on August 7th). 1967 – Che Guevara (born on June 14th) and his men are captured. 1982 – Opening of Cats on Broadway. 2001 – Establishment of the Office of Homeland Security is announced by President George W. Bush (born on July 6th).